Our Europe specialist Graci recently returned from a romantic 10-day trip with her husband. Read below for her favorite parts of the trip, some advice about traveling between towns on the French Riviera, and more. Instead of paying for a tour of Notre Dame, Graci and her husband attended a Sunday morning hymnal service: “It was so beautiful and afterwards we did a self-guided tour of the church. We saw the crown of thorns, all sealed up in its case, and it will definitely be a moment hard to top for us”. Anyone else have goosebumps?! Graci and her husband took advantage of Paris’ romantic landscape and ambiance with a nighttime cruise on the Seine River. Seeing the whole city sparkling and lit up, including the Eiffel Tower, as “about as romantic as it gets” in Graci’s words. Before you read through this list, keep in mind that Graci and her husband rented a car for their trip. They chose to drive from town to town on the French Riviera on their own, which was stressful at times. Especially considering everything was manual. However, she does recommend these properties for those who are comfortable with driving out of their way on their own to get there. This is the only exception to the rule mentioned above. Hotel Providence is very conveniently located, just off the beaten path area of Paris with lots of trendy restaurants and shops nearby. It is just a short walk from the subway as well, so Graci highly recommends this one! In addition to the location, it boasts a cozy and quintessential Parisian atmosphere with Pointe de Hongrie wooden floors, marble mosaics, and vintage fireplaces throughout. Spend some time on the front terrace, with views of daily Parisian life: cobblestone streets, couples walking hand-in-hand, and more. Then head to the rooftop for a view of Montmartre. The five star Château de Fonscolombe was once a private residence. It is now officially classified as a historical monument, and for good reason! The hotel is still in keeping with the original design of a large house, with individual privacy for its guests as well. This picturesque property will truly transport you into a French postcard. Inside the residence, you’ll find Genoa leathers and Chinese wallpapers from the 18th century, stunningly restored ceilings, chandeliers, and door frames, plus all the comforts of a luxury hotel. The outside of the property is gorgeous as well, with gardens and even a winery onsite. Newly opened in 2017, Hotel Les Roches Rouges in France’s Cote d’Azur brings back the old school glamour of the French Riviera. This is the epitome of low-key, understated luxury. Just a ten minute’s drive from the town of Saint Raphael and an hour’s drive from Nice, it is relatively easy to access by your own car or taxi. This boutique hotel with just fifty rooms has two restaurants and three bars – including a beach bar that pops up during the day by the water to serve cocktails and light bites. The charming hillside village of Le Bar-sur-Loup is home to the enchanting stone house known as L’Escale du Ciel, which translates to “a stopover in heaven”. Here you will find a stunning blend of old and new: hand-painted antique furniture, lamps from Morocco, and hand-baked terracotta tiles are just some of the delicate, luxurious touches. You can rent the entire villa for up to 9 people, or rent rooms individually which is what Graci and her husband did. Versaille is home to the famous Chateau de Versaille, which is a stunning palace dripping with gilt and marble. 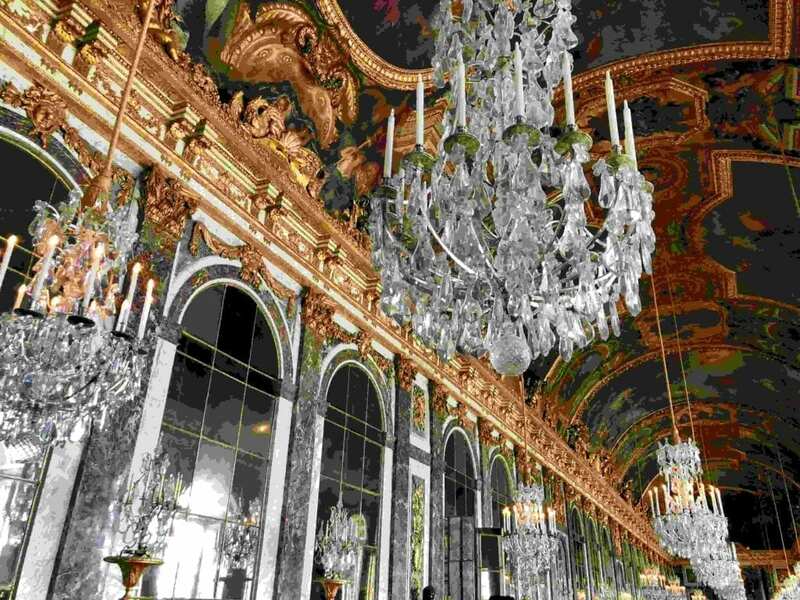 It was the vision of the very lavish Louis XIV and boasts 700 rooms, 27 acres of roof, and 67 staircases. Surrounded the palace itself are some of the most beautiful gardens in all of France, which are home to hundreds of stunning sculptures. To get there, you can take the RER C Commuter train from the Champ de Mars/Eiffel Tower stop on the left bank, which is about a 30-minute trip. Get off at the Versailles-Rive Gauche station and then it’s a quick five-minute walk to the palace. Saint Tropez is the most famous resort town in Europe. Celebrities have lived and vacationed here for centuries, including Brigitte Bardot and Picasso. The charming village is home to thousands of yachts, stunning seaside mansions, insanely expensive restaurants, and designer boutiques. 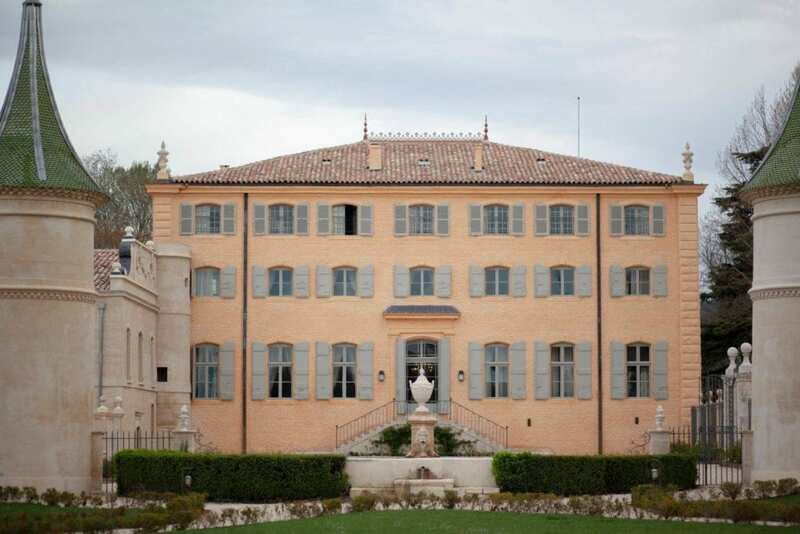 It’s no wonder that A-listers still flock to Saint Tropez any chance they can get. In addition to all of the luxury, the natural surroundings are incredible as well. Graci and her husband splurged on lunch at the famous Club 55 restaurant, that sits directly on the beautiful white-sand Pampelonne Beach. After lunch, they bought a couple of sun loungers and spent the day watching all of the mega yachts cruise by in hopes of catching a glimpse of some celebrities. Nice is situated on the French Riviera, and has everything you need for a quick weekend trip. Here you’ll find stunning beaches, great bars and restaurants, amazing views, and a wonderful culture. While here you will want to stroll along the 7-mile Promenade des Anglais, one of the most iconic roads in France. Take in the sea on one side and admire the ‘Belle Epoque’ architecture on the other. Then, take your pic of public and private beaches to relax the afternoon away on. Some of the best public beaches include La Reserve and Coco Beach. For some of the most amazing views of the city and countryside, head to Castle Hill or Mont Boron. 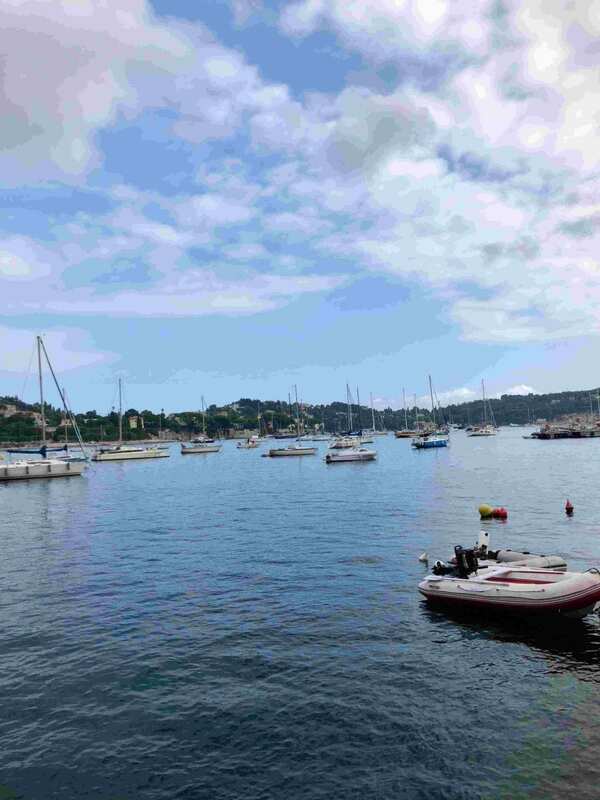 Villefranch-Sur-Mer is one of the five most beautiful bays in the world. This impossibly charming and authentic French fishing village sits between Nice and Monaco. This is the type of village where everyone knows each other, but it is surrounded by a lively international scene that attracts an eclectic group of visitors. This is a great place to relax on the beach and enjoy the French lifestyle of cuisine, wine, and shopping. In addition, it is just 30 minutes away from Italy! Want to know more about Graci’s romantic French getaway? Read our latest “What We Ate” post, featuring everything she ate during her trip to France. Or call us at 402-281-3022 to book your own visit to France!